Our suppliers help our university to achieve its mission and values. 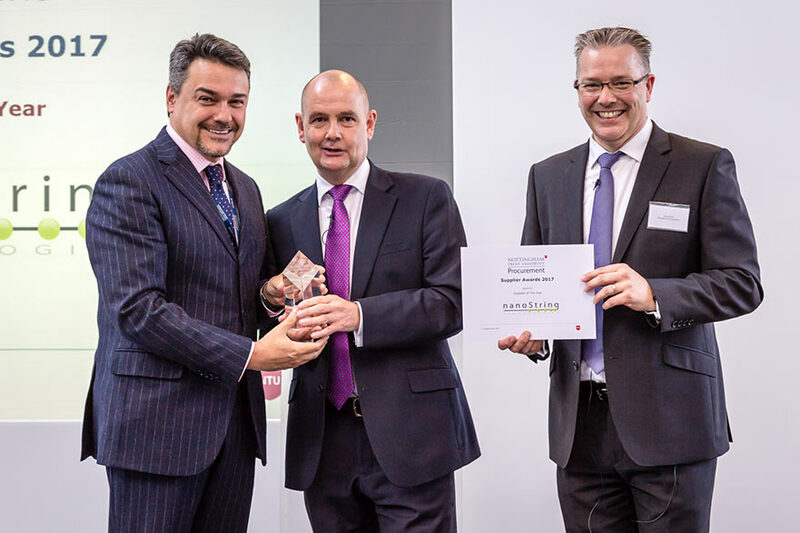 In celebration of this, we hold the NTU Supplier Forum and Recognition Awards each year. 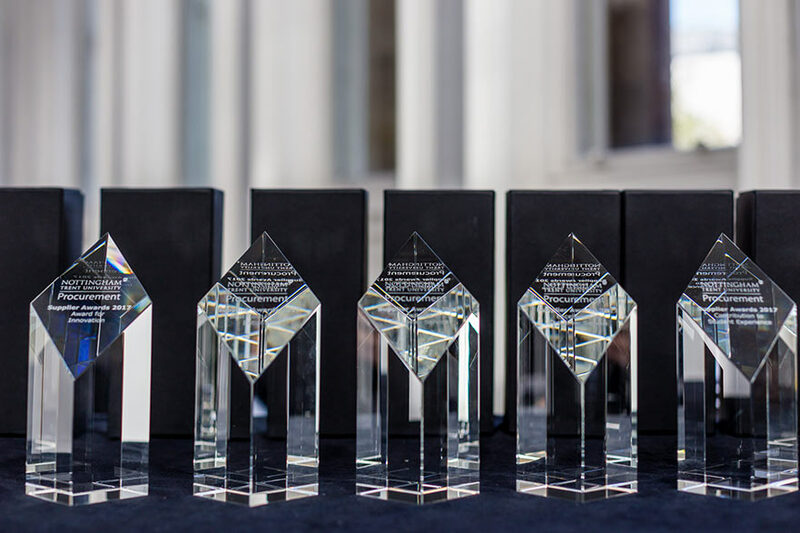 On 13 September 2017, ten of our suppliers received awards in recognition of their high-level service and contribution to our university. This year, our suppliers have helped us achieve great things as a university. This includes reducing waste and the carbon footprint, improving our student experience, lowering our costs, and helping our research to crack the cancer code. Congratulations to nanoString Technolgies’ who have won overall Supplier of the Year as well as the Award for Innovation category. Their contribution has been vital in helping us with our research into cancer treatments and helping to secure necessary funding.